You’ve probably heard that mindfulness meditation does wonder to our constantly agitated mind. In a way, it does. Numerous studies have proven that mindfulness meditation not only helps you relax but also benefits your health as a whole. Theoretically, learning mindfulness meditation on your own sounds simple. After all, what’s so difficult about sitting cross-legged and counting your breaths. In reality, the hardest part of mindfulness meditation is at the beginning. In fact, some people who suffered from anxiety gave up meditating barely days into the practice. Many claims that they cannot empty their mind to meditate. This leads to the various misconception that has to be clarified before you even attempt to take your first breath mindfully. As mentioned, beginners gave up on meditation because they can’t seem to stop the thoughts in their mind. This is never the intention of mindfulness meditation nor you should ever hope to achieve that, as long as you’re breathing. Mindfulness meditation is about observing those thoughts, without being affected by them. 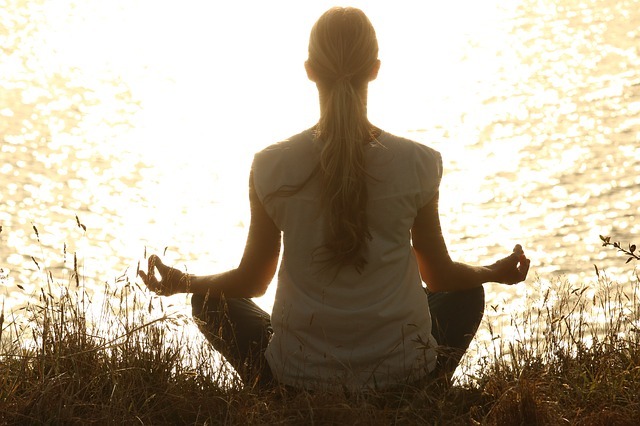 Here are other common misconceptions of mindfulness meditation. Some people look at mindfulness meditation as a means to a goal. It’s like going to the gym to build a pack. In their rush to achieve these “goals”, they tend to create a desperate energy that hampers their progress. Mindfulness meditation is a mental conditioning technique that gradually changes your mind behaviors. As with anything worthwhile, it takes times before you start seeing any benefits of meditation in your life. The point here is that you have to stop expecting meditation to work and just follow the basic instruction of mindfulness meditation. When you practice diligently in an unexpecting manner, it will naturally work. While the secular mindfulness meditation is derived from the Vipassana meditation practice in Buddhism, you do not need to be a Buddhist to meditate. In fact, fundamental of mindfulness meditation is the same in both the secular and religious practice. Mindfulness is a practice that trains the mind to be grounded in the present. It is a scientific approach that’s very much like the law of gravity. It doesn’t need your belief to work. It simply does. That’s one of the reasons it has been applied by various health therapists, especially for mental health issues. This is another common myth, or rather excuse for not meditating. When I started learning meditation at 17, I was the only young teenager in the group of practitioners. None of my friends showed any interest in meditation as they perceived it is for older people. Now, in my mid-30s, I was glad that I made the right decision of meditating at a young age. Being mindful definitely comes handy as I deal with various mental struggles later in life. It’s never too early or late for you to start meditating. No. It’s not. It’s a form of mind training that changes the way you react to your thoughts, and of course, increase your mental health. But like physical training, it doesn’t prevent you from falling sick, no matter how fit you are. You’ll still experience anxiety, anger, sadness or any emotional pain that’s experienced by non-meditators. You may even suffer depression when life gets really tough. The difference with the mindfulness developed is that you stand a better chance to get out of the mental rut faster. I wouldn’t bore you with the scientific benefits of mindfulness meditation as I have written extensively about it in my previous article. I’m going to give you a brief analogy of what happens to your mind when you meditate and how you’ll experience calmness that you’ve never felt before. 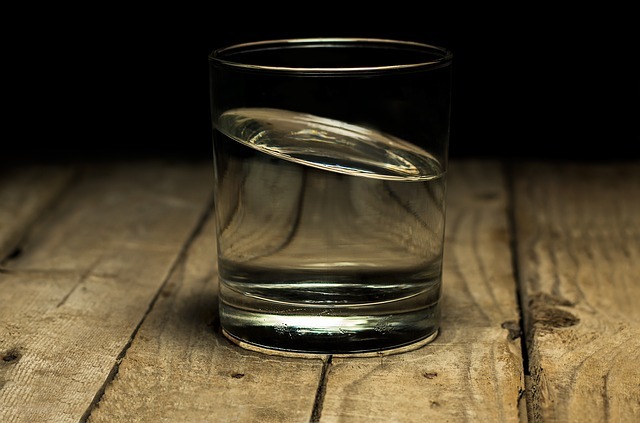 Think of your mind as a glass of murky water. As the glass is constantly shaken or moved, the tiny particles of dirt would spread all over the water. You’ll have trouble looking through the glass. The same is true of our untrained mind. The constant chattering in our mind and negative thoughts prevent us to truly focus or relaxed for a long period of time. But if you allow the glass to be still, instead of trying to shake the murkiness off, the dirt particles would eventually settle down, giving you a clear view through the transparent water. That’s what practicing mindfulness will do to your mind. As you stopped reacting to every single thought, your emotion will not be affected. What’s left is nothing but peace, focus and a sense of bliss you’ll never experience with an untrained mind. 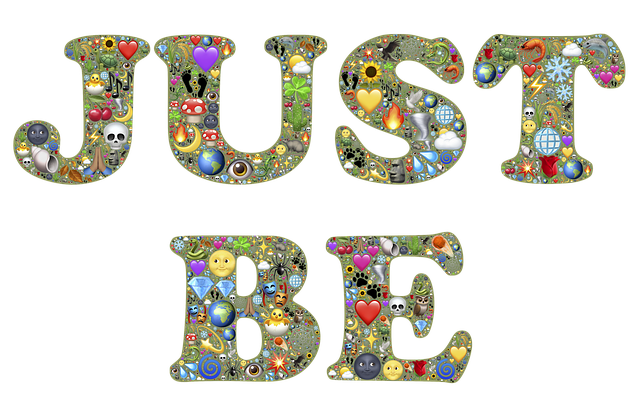 There are no hard rules on what you must or mustn’t do before you meditate. But these have been my best practices that allow me to meditate with fewer disruptions. Sure, nothing beats gulping down a cheeseburger and finishing off with your favorite sundae. But if you’ll want to avoid falling asleep before the 5 minutes mark, do keep your meal light before meditating. Or allow some time for your body to digest before meditating. Tight jeans look pretty cool when you’re out on a date. But it causes unnecessary discomfort when you attempt sitting meditation. These distractions can be too much to handle when you’re just starting off with meditation. Wear loose and comfortable clothes instead. Regardless of what you read about meditating anywhere, the best place to kick off your practice is a quiet corner of your house. Minimize distractions by silencing your smartphone and turning off your TV. Beginners need all the solitude to build the focus and awareness in the first few sessions. Geta meditation cushion that elevates your pelvis off the ground. The image of a monk meditating serenely on a rock is impressive but chances are, you’ll give up struggling with numbness and pain before you knew it. The moment before you start meditating, forget about what you know about meditation. It doesn’t matter how experts claim that meditation can boost your neural system, what’s important is you meditate without expecting anything. One of the most common mindfulness meditation techniques is the sitting meditation. As the name implies, you meditate by sitting and with your eyes closed. 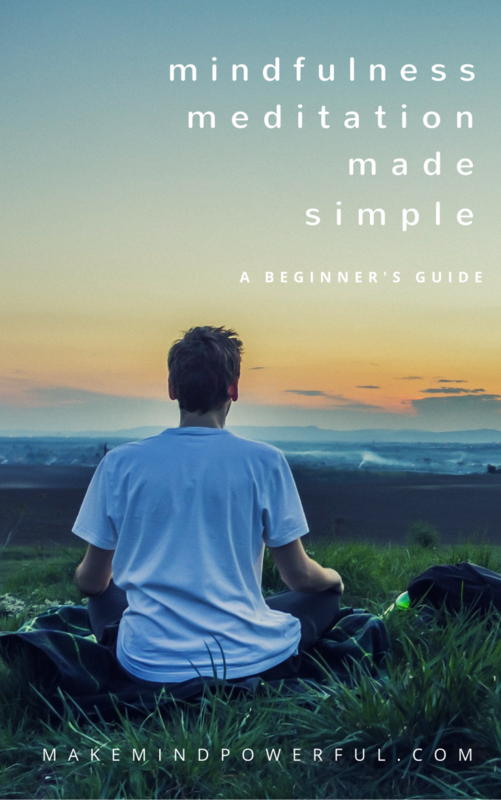 If you’ve downloaded my meditation guide, there are simple instructions in it, else here’s how you meditate. 1. Sit comfortably in a cross-legged position. Note that I’ve avoided suggesting postures like Burmese or Half Lotus. For me, the right posture is the one you get to sit comfortably. 2. Straighten your back firmly but do not be stiff. Do not hunch your bag. Both your shoulder and your back should form a straight line. It prevents you from suffering back pain early in the meditation. 3. Close your eyes gently. Some meditations suggest that you start with the eye open but closing keeps visual distractions away. The primary focal point in mindfulness meditation is your breath. All you need to do is to inhale and exhale as you normally do. You’ll find that the exact instruction for this varies from different meditation teachers. Some asked you to observe the breath at the nostril while other suggested the awareness of your diaphragm. The key is to bring your awareness to the part of your body that has the most obvious sensation from the breathing. As you do so, feel and be aware of every sensation when you inhale and exhale. Does your diaphragm feel tight from the pressure build up? Or do you feel warm tingly sensation in your nostril as you exhale? Just bring your awareness to your breathing. As you meditate, it is common for your mind to wander and lost in various thoughts. You could find yourself recollecting the meetings at the workplace or the laundry that you need to do later. As soon as you realized that you’re lost in thoughts, gently bring your attention back to the breathing. 7. Itchiness, Numbness and Other Weird Sensations. Sometimes, you’ll be assaulted by odd sensations when meditating. Instead of giving in to your instinct to scratch or shift your position, bring your awareness to the sensations and be mindful of any negative thought that results from them. It is common to feel anger, regrets, sadness or other negative emotions during meditation. Instead of being trapped or reacting to them, just note to yourself that they are just thoughts and bring your attention back to breathing. For beginners, it is recommended that you sit for 5 minutes for the first session. You can use a meditation timer or app to gently alert you when your session ends. Gently open your eyes and allow your mind to adjust to its present condition before you stand up. You may feel slightly disorientated as it’s a new mental state that’s your mind may find unfamiliar. Mindfulness meditation can be summarized into a simple process of drawing awareness to your sensations, thoughts, and emotions without being judgemental. Instead of identifying yourself with the senses, you’re being the awareness behind those sensations and thoughts. As you start meditating, you’re bound to ask these questions regarding the practice. 1. How long or frequent should you meditate? Ideally, meditation should be done daily to build up the momentum or register any positive effects in your life. Each session should be at least 30 minutes to actually go deeper in meditation. Read more on how long should you meditate here. 2. I can’t feel my breathing, what should I do? Some beginners may have trouble in drawing awareness to their breathing because the sensations are too vague. In that case, place your palm on your abdomen. You will have clearer movements and sensations to focus on. 3. My mind is such a mess that I can’t meditate. It’s just like getting you to lift weigh when your muscles are sore. When you’re too stressed, it can be pretty difficult to meditate on your own. You may end up in a session of brooding thoughts instead. Here are some articles to help you meditate when stressed. 4. Are there any ways to meditate better? I’ve done a lengthy post on meditation tips to help your meditation practice. 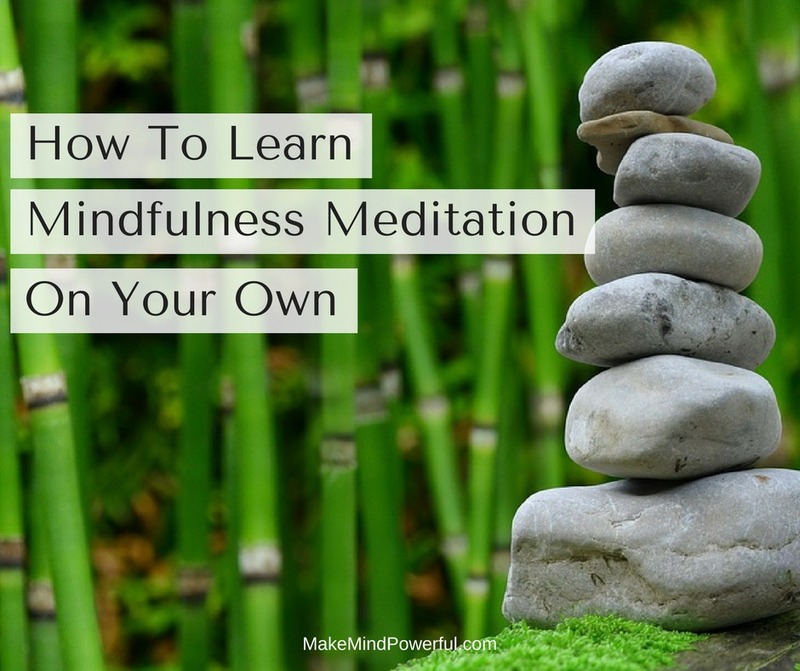 I hope that this post has served its purpose to help you learn mindfulness meditation on your own. If you think it’s helpful, do share it out with others. If you have other questions, feel free to ask in the comment below.